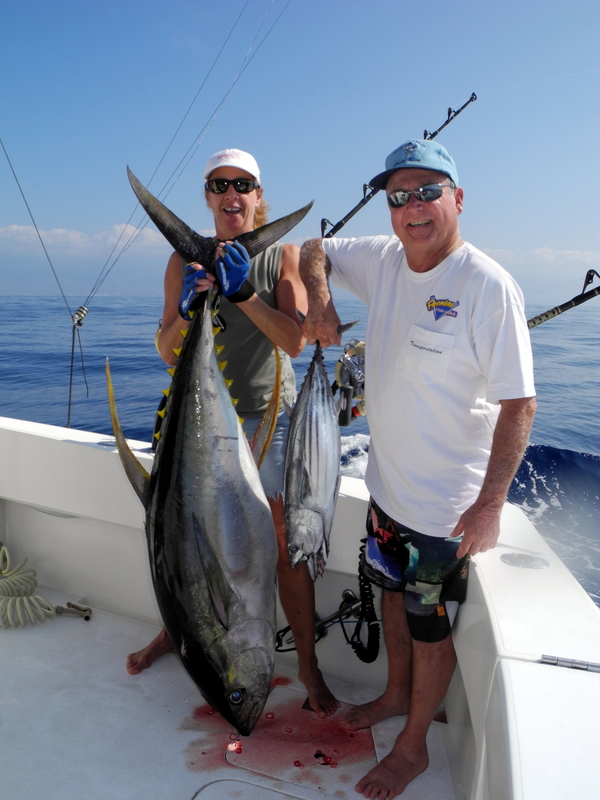 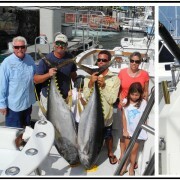 John and his son Kyle enjoyed two days of fishing aboard FIRE HATT while visiting from Vienna, VA. On the first day about an hour before the trip was over, the short rigger went off! 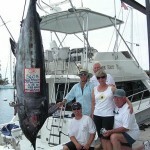 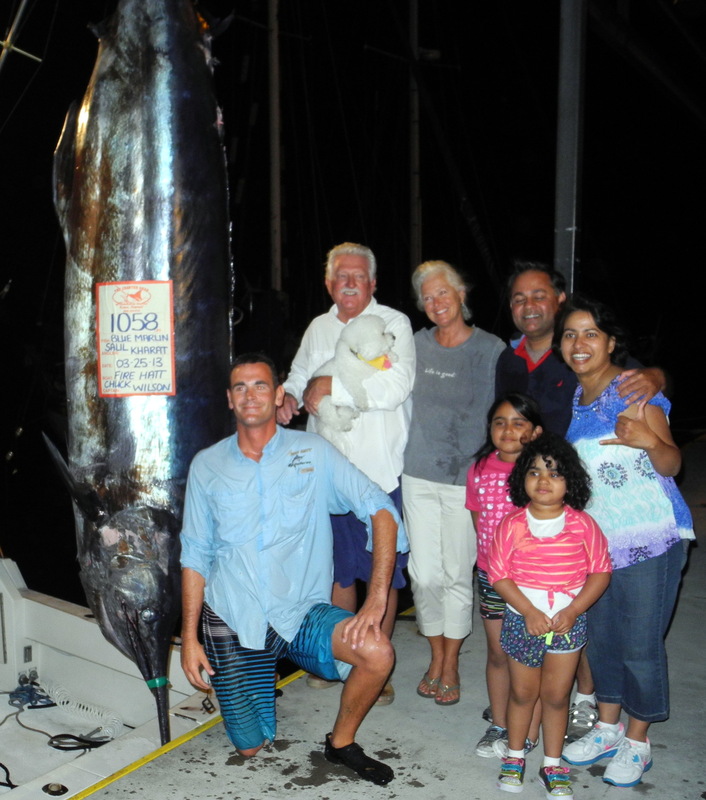 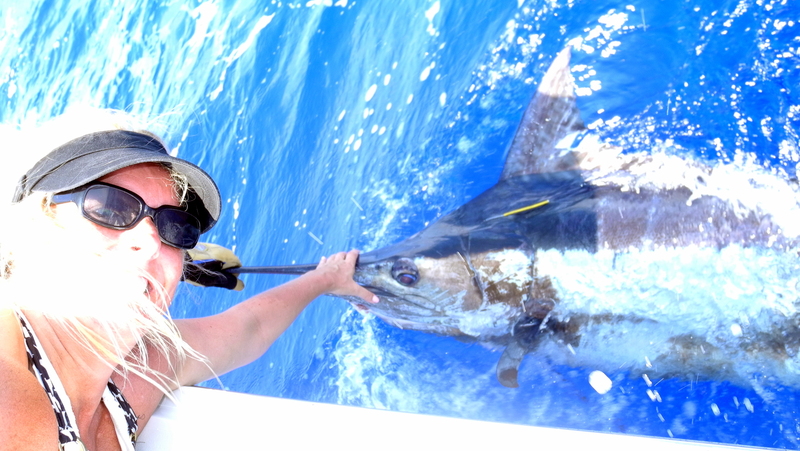 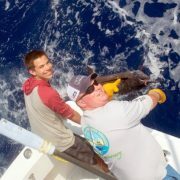 After about 45 minutes Kyle had his 400+ lb Blue Marlin to the boat. 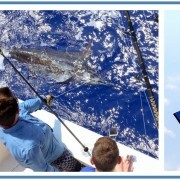 After a successful release by crewman Todd Barrett the marlin swam into the deep. 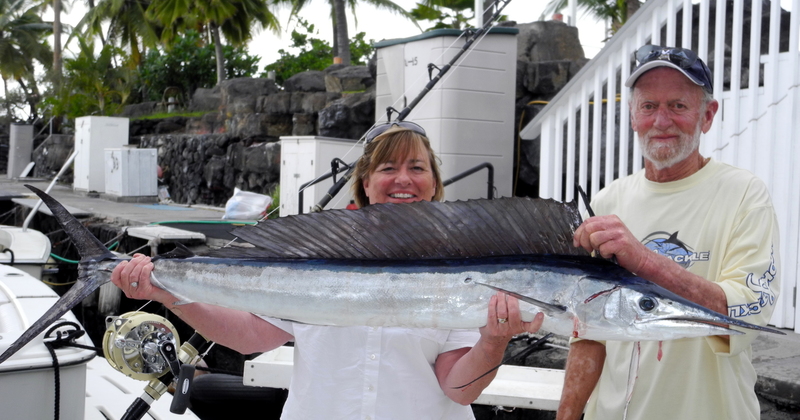 Not wanting to be out done by his son, John was the angler on day two… only to land a Mahi Mahi that would not take the record held by Kyle.